**Starting this Saturday, May 4, we will be open Saturdays from 10 am-2 pm for our Summer Saturday Hours through the end of August. This is in addition to the regular Tuesday and Wednesday, noon to 6pm. Fundamentals of Investing in the Stock Market is an introductory curriculum that examines the basics of investing using examples, illustrations, case studies, and exercises. It is designed for students interested in business or for students who desire to manage their personal finances effectively. Ideally, the course will instill in students a passion for investing that inspires them to not only benefit from and enjoy the course, but also to continue to develop their financial aptitude far into the future. The 8-week course is designed for homeschooled middle- and high-school students and requires only the purchase of the text and the accompanying book, The New Buffettology by Mary Buffett and David Clark. The materials can be purchased separately or as a bundle from our website; a portion of proceeds are donated to the Foundation for Financial Literacy, a foundation whose goal is to educate and support financial education programs in the U.S. The course is divided into 4 main segments: an overview of investing and the stock market, an examination of what separates a good business from a bad one when choosing investments, an introduction to accounting and financial statement analysis, and a look at how to find a buying opportunity. Throughout the course, students will be exposed to different investing strategies and real-world case studies. Please visit www.2young2invest.com or email john@2young2invest.com for more information. 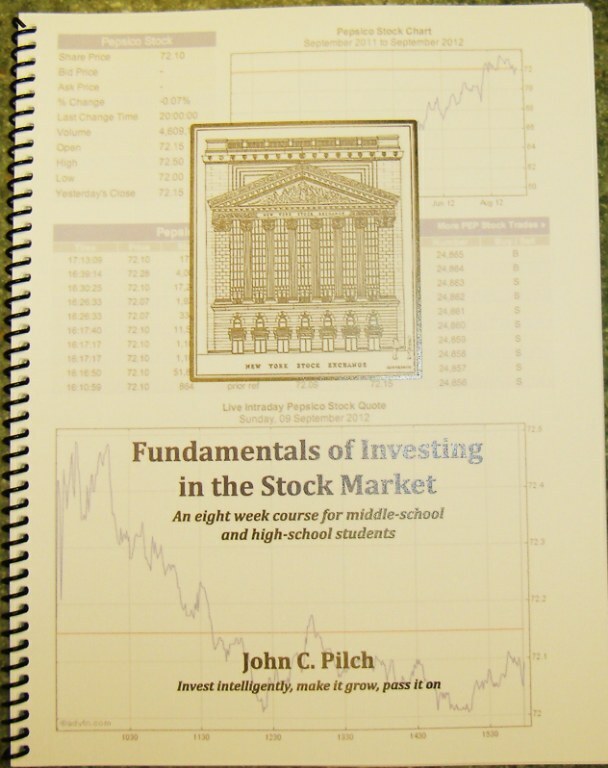 This entry was posted in The Bookstore and tagged Fundamentals of Invetsing, Pilch. Bookmark the permalink. I will pass on the news that you are starting summer hours to haha if okay by you….